Muscle cell volume is critical to gaining the size you want. Bodybuilders have known the power of the pump for decades. What was less well known was that the exhilarating feeling of the pump was physically causing profound muscle growth. Science has uncovered the secret. Physical pressure on the cells caused by the pump during intense physical training triggers myofibril hypertrophy (muscle cell growth). 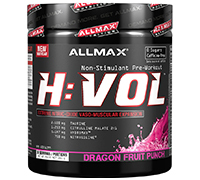 Now, ALLMAX® brings HVOL™ and it will change the way you train forever and the landscape of muscle growth technology will never be the same. 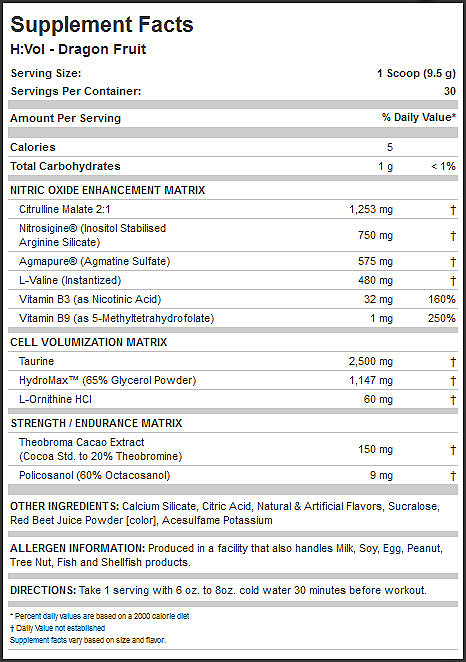 If you’re looking for results, look at our label − HVOL™ pulls no punches, every single ingredient is listed clearly with amounts; no ridiculous hidden blends that hide actual ingredient amounts.